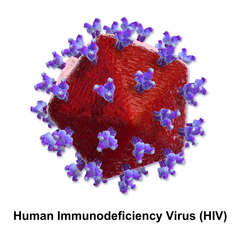 The Global Human immunodeficiency virus (HIV) is a retrovirus that infects the cells of the immune system, destroying or impairing their function. As the infection progresses, the immune system becomes increasingly weaker, making the infected person more susceptible to other infections. Since the first anti-HIV drug, GlaxoSmithKline’s (GSK’s) Retrovir (azidothymidine), was approved in 1987, major improvements have been made in the field of antiretroviral therapy (ART). - Overview of HIV, including epidemiology, etiology, pathophysiology, symptoms, diagnosis, and current management strategies. -Topline HIV market revenue from 2015-2025. Annual cost of therapy (ACOT) and major pipeline product sales in this forecast period are included. - Key topics covered include current treatment options, unmet needs and opportunities, and the drivers and barriers affecting HIV therapeutics sales in the 9MM. - Analysis of the current and future market competition in the global HIV therapeutics market. Insightful review of the key industry drivers, restraints and challenges. Each trend is independently researched to provide qualitative analysis of its implications.